The first ever, first half King of Cork has been crowned. 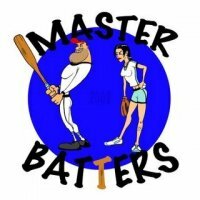 Congratulations to The Master Batters who takes home the first half prize in our 2010 competition and will have his team name emblazoned on the Kings of Cork Hall of Fame (page to be added soon). With 74 HR, he has led most of the past 2 months primarily due to Mr. Josh Hamilton as his Group D pick. He was the only team to take a gamble on the injury prone Hamilton and he was rewarded with 22 HR from him. If Hamilton keeps hitting like he did in June, The Master Batters may possibly take home the Kings of Cork triple crown and win all three categories. Remember, the big prizes are awarded to the top 3 places over the complete season, but everyone will now be reset to 0 HR for a chance at the second half prize as well. Stay tuned for an exciting rest of the season.